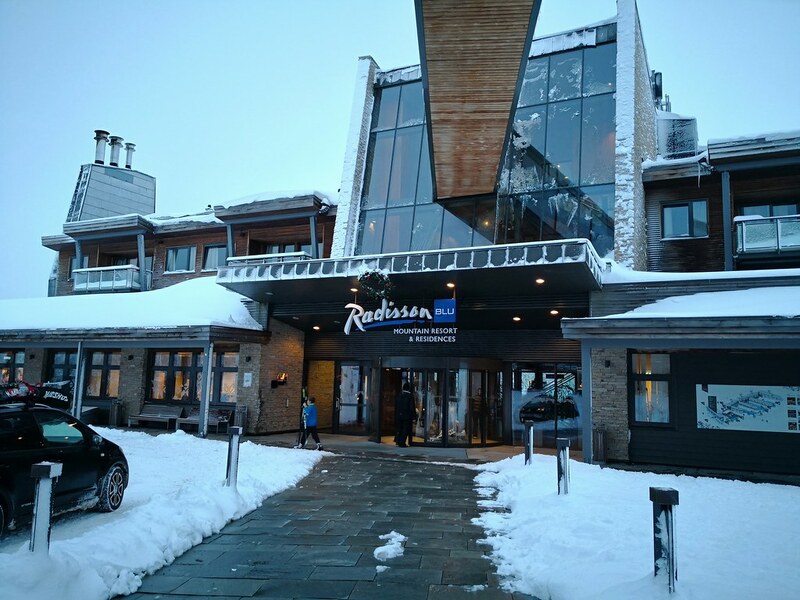 There are 2 Radisson Blu properties in Trysil Ski Area, and that was the reason I went for a status match with Club Carlson (now Radisson Rewards) since I would be staying at 3 different Radisson properties. 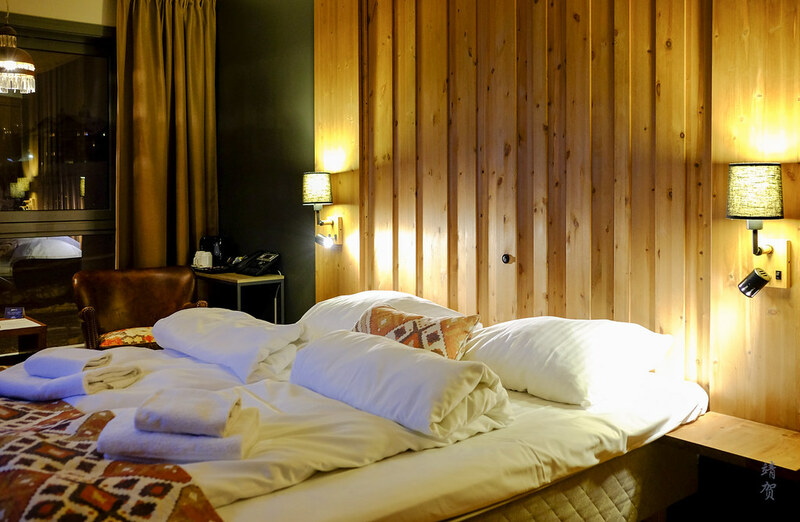 The original Radisson Blu is located in the Turistsenter with another property near the Høyfjellssenter. 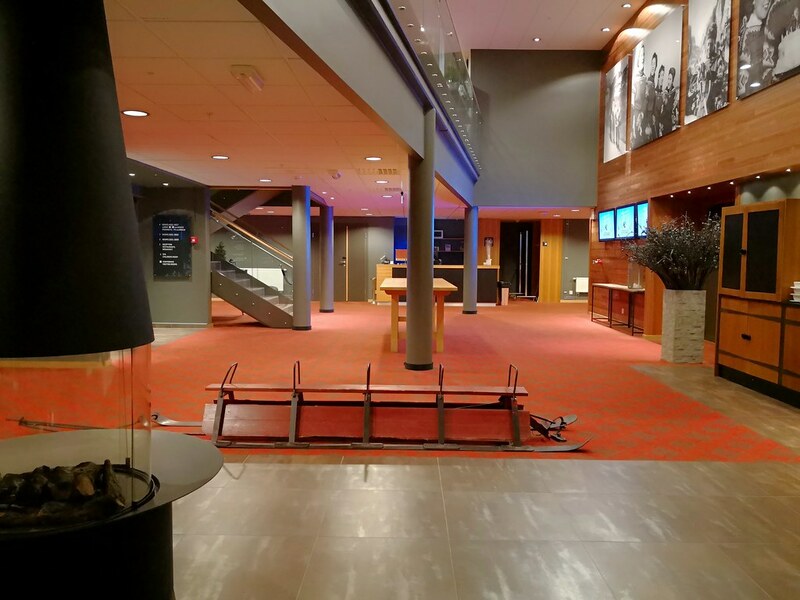 For the first 2 nights in Trysil, I stayed in the Radisson Blu Mountain Resort which has a ski in/ski out location at Fageråsen near the Høyfjellssenter. 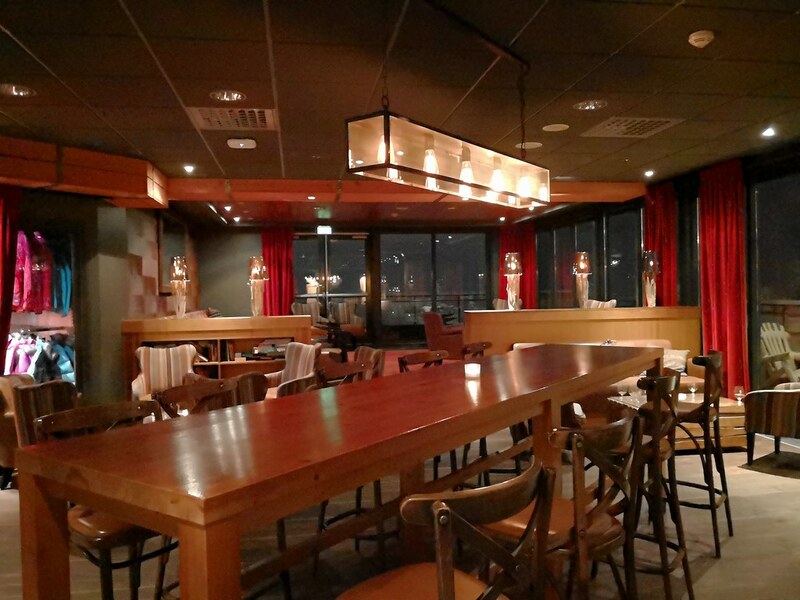 This property used to be a Park Inn that was rebranded and this resort is located at the other side of the Trysil Ski Area which is about 10 minutes away by car, with shuttle buses running between the 2 locations. 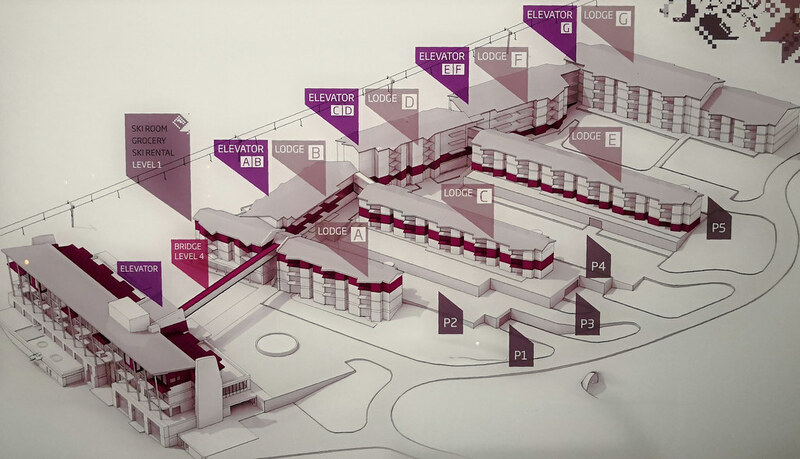 The shuttle bus stop is right outside the driveway to the hotel and the hotel has a main building with an overpass connecting the other ‘lodges’ where most of the guest rooms are found. 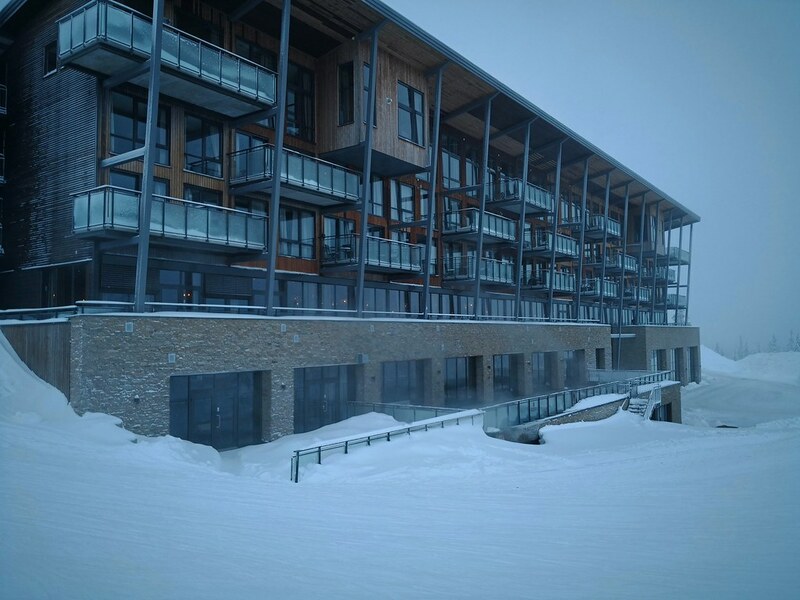 There are a limited number of rooms in the hotel’s main building though it might not be the preferred rooms as the ski storage is located below the ‘lodge’ building, just opposite from the main building. Having arrived past 2pm, it is never nice to be told that your room is not ready. There was no explanation by the front desk agent nor did they try to find me a room that might be ready. In fact the worst thing was they did not even want to notify me as I wait in the lobby if the room is ready. They just said to come back at 4pm to check at the front desk. It was a poor service standard and really slow housekeeping considering standard check-out time is 11am. That meant I spent time at the lobby lounge since it was too late to ski. I ended up having some snacks and drinks while using the hotel’s wifi to stream some videos. There is a ski shop located next to the lounge that sells some ski gear as well but it was small and has limited selection. Eventually, I received my key to the room located in Lodge B on the 5th floor. Along with my room key card, I was assigned a ski locker found on the ground floor of Lodge A. 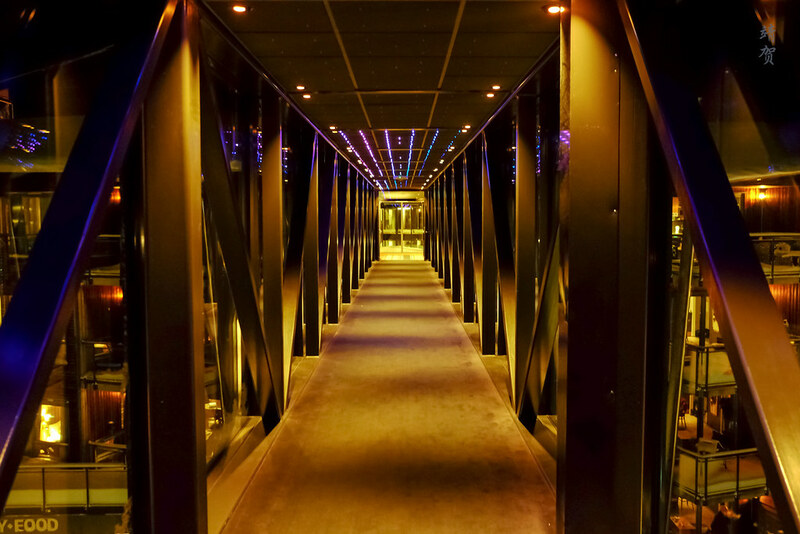 To get to my room, I could either take the bridge overpass to Lodge A or cross the hotel from the ground floor. 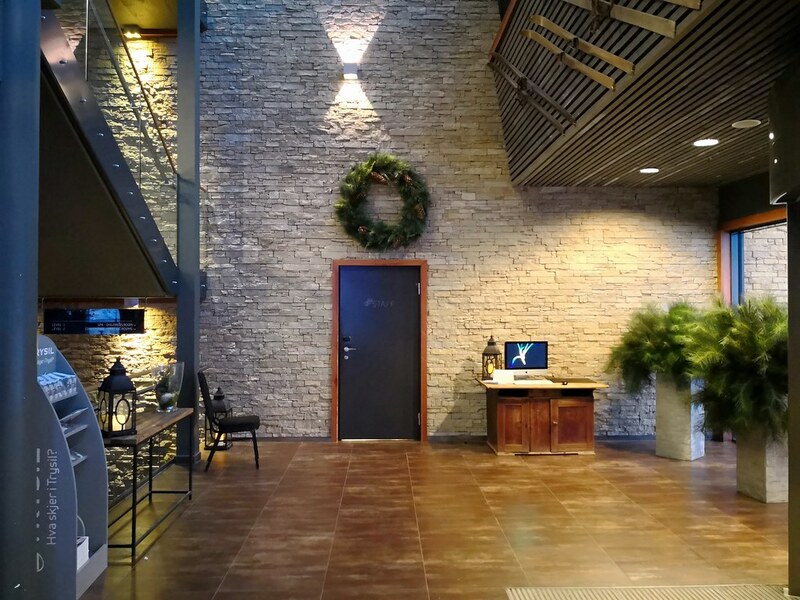 Entry foyer into the room has useful large coat hooks that are essential for a ski hotel. Beside the coat hooks, guests can find a large wall mirror by the foyer. Across from the mirror is the entrance to the bathroom. 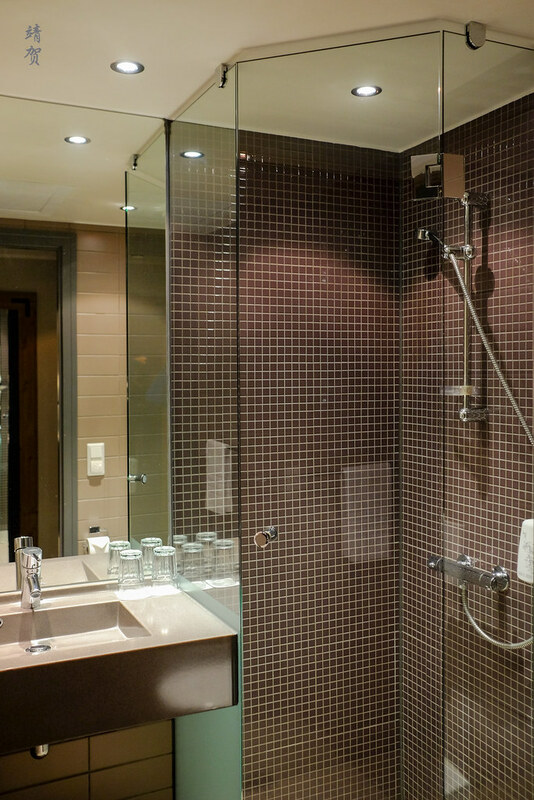 The floor plan of the room made the bathroom a tight spot, with the shower cubicle feeling really small even though if it is fully enclosed. There was obviously no space for a bathtub in the room as the toilet takes up the space next to the shower area. 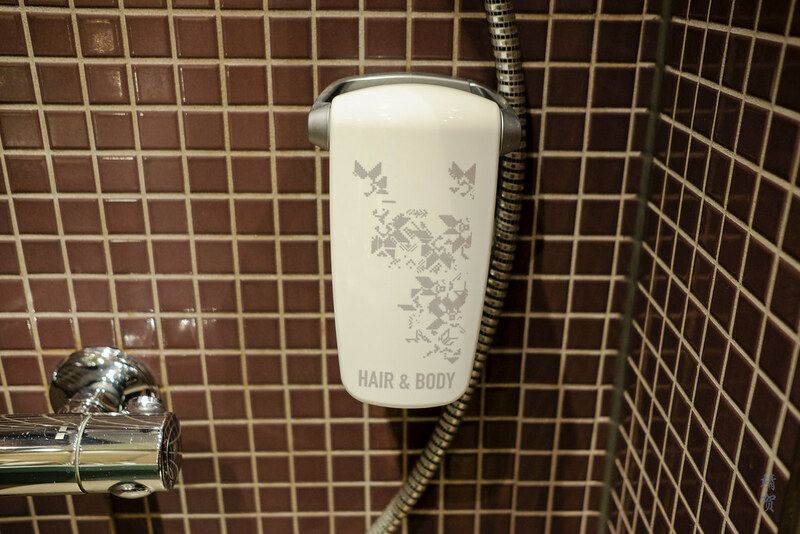 Wall mounted bath amenities are a reminder of the hotel’s past as a Park Inn and in the shower, there was only one hair and body wash. I get that these installations are better for reducing waste but an all-in-one shampoo, conditioner and body wash? That should not be in a Radisson Blu if they are seeking to be a 4-star hotel chain. Moving on to the room, the small size again constricts the space for a desk and has little storage space. As indicated from the room plan, this seems to be a second bedroom that can be adjoined to a larger room for families but as a stand alone bedroom, it was on the small side. There was 2 leather armchairs by the window with a small table in between while a narrow countertop is occupied by the telephone, kettle and coffee cups. Both the armchairs and beds are really soft and while the bed was advertised as a King-size bed, I did not find it to be any bigger than the bedroom in the Radisson Blu Plaza which is a Queen-size bed. Across from the bed, there was a door that would lead to the connecting room with a closet next to the bed. With limited storage in the room, the closet space was where I placed most of my ski gear like gloves, helmets and goggles. 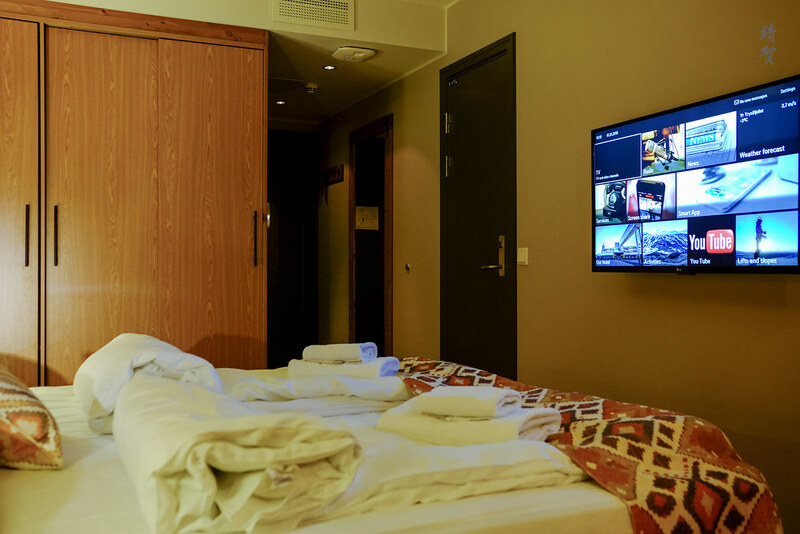 The LG flatscreen TV was probably the highlight of the room as it is a smart TV that has the YouTube app and allows connection of your devices quite easily. WiFi that guests use is the Trysil Guest SSID which is fast and reliable. 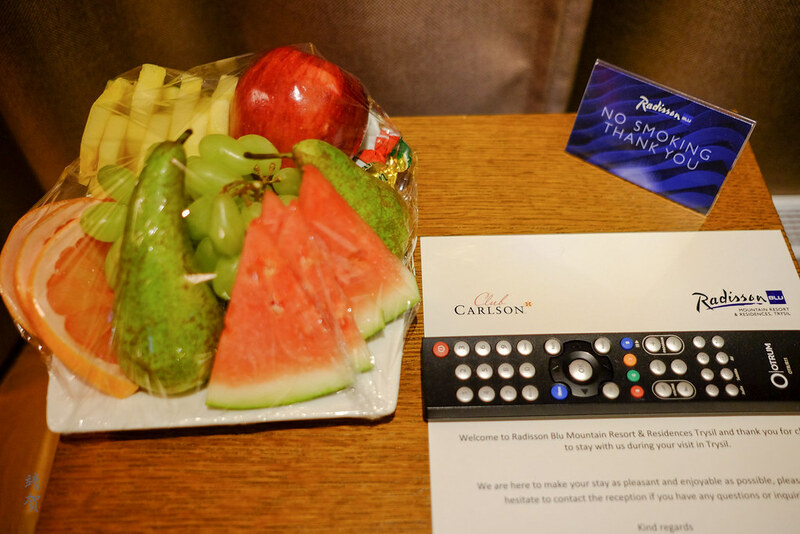 The only thing the hotel seems to acknowledge my Gold member status was the provision of a welcome fruit amenity placed in the table between the armchairs. While the room might be on the small side, it did have nice views of the mountain and the ski slopes. 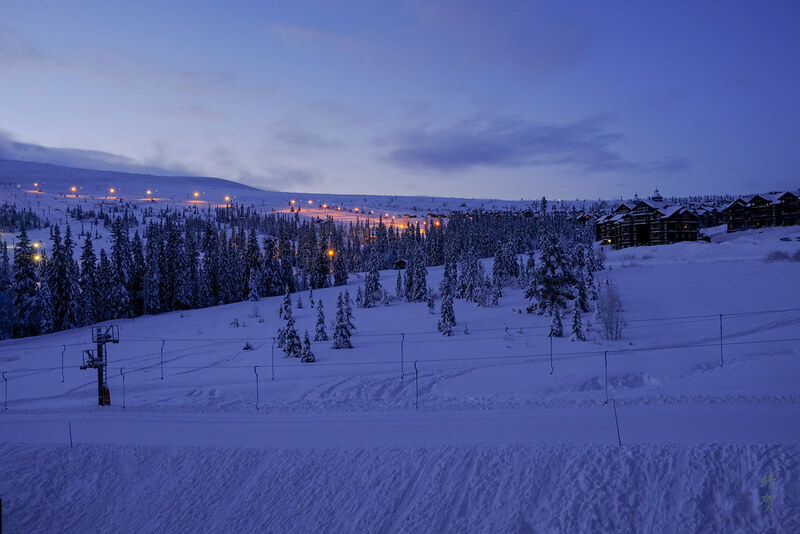 However its location beside a learning slope means that it can be noisy in the morning and in the evening where there is night skiing in place. 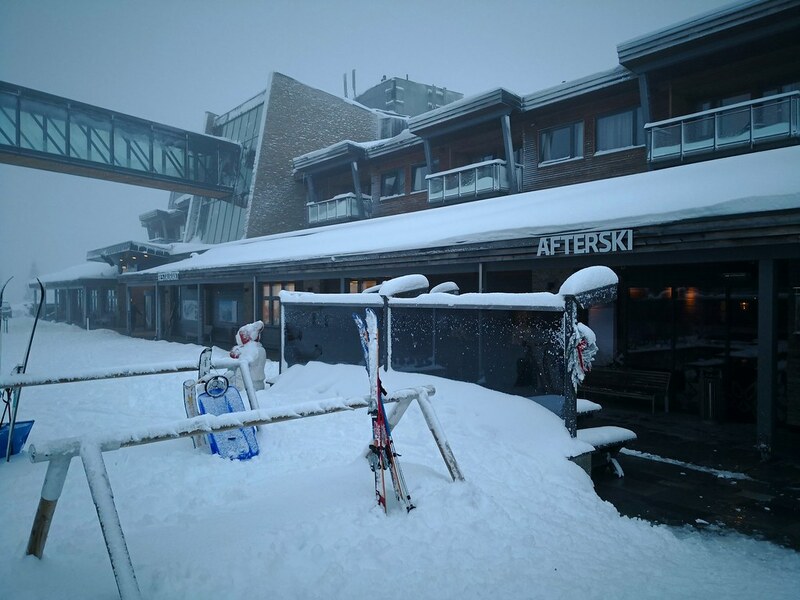 This resort might be located in the ski resort of Trysil but it is actually quite far off from the resort village at Høyfjellssenter. No supermarkets can be found in the compound with the nearest one is 15 minutes away by walking uphill, though it is possible to ski from the Høyfjellssenter back to the resort. As a lone structure in the mountain base, there are no other accessible dining venues aside from those on-site. That means guests staying overnight here are constrained to a half board here, though they do allow guests to opt for just a bed and breakfast. 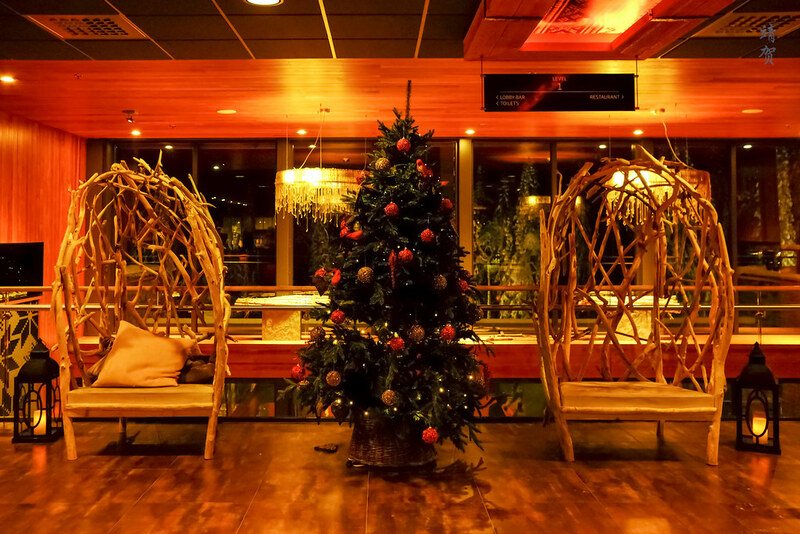 There is a cafe bistro next to the ski rental in Lodge A that is only open till the evening, and for dinners guests can choose to have pub food at Stabben Afterski Restaurant or the Barken Restaurant. I would review the dining here separately since it is the only thing to eat around here and I had both breakfast and dinners here for my 2 nights stay. 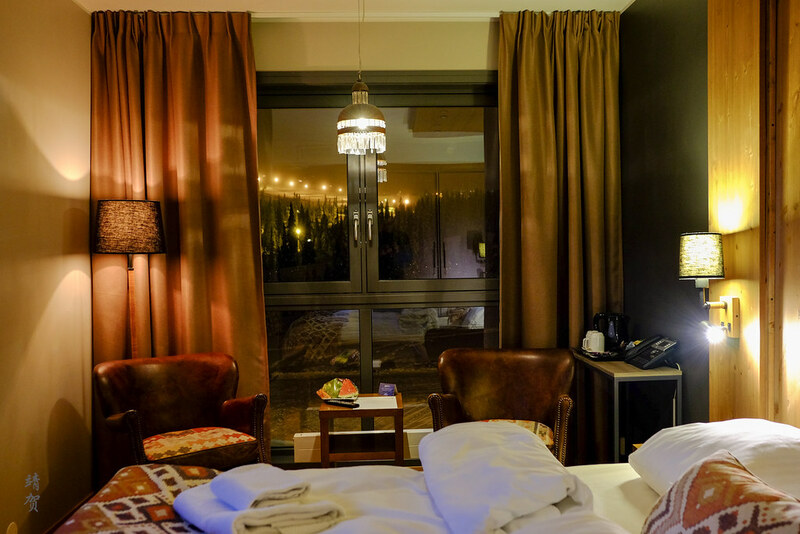 Other facilities in the hotel includes a spa, which is expected for a ski hotel. However, entry to the pool and spa area is charged at NOK125 for hotel guests in the evening and a different rate for the morning. Day passes also available on another rate, though with the pool and spa located in the main building I did not use them during my stay. Access to the spa is located on the basement floor below the lobby. It is useful to note the cheaper spa rates for the morning meant there can be people enjoying a soak in the outdoor hot tub which is visible from the green ski slopes right outside the hotel. 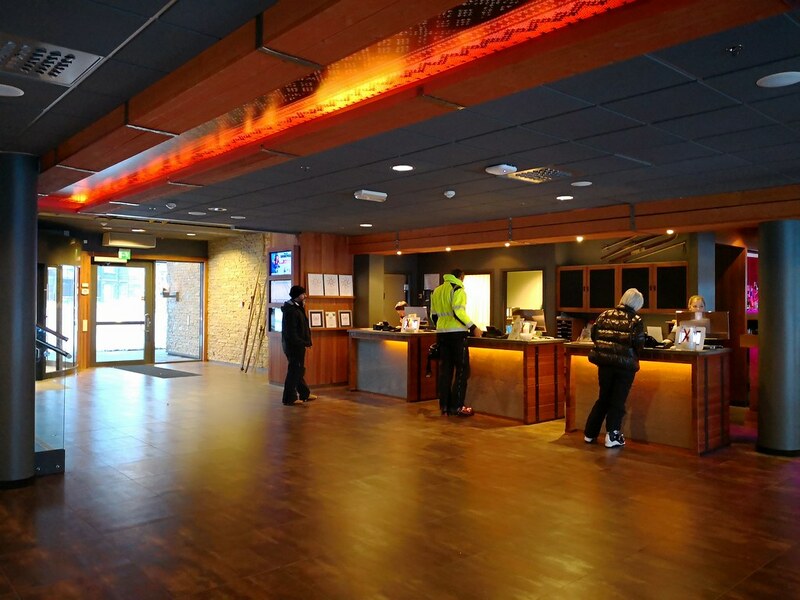 Beside the reception desk, there is a lobby lounge with a bar counter which is popular for after-ski drinks. The place has several cozy spots and it was where I waited mostly for my room keys on the day I checked in. 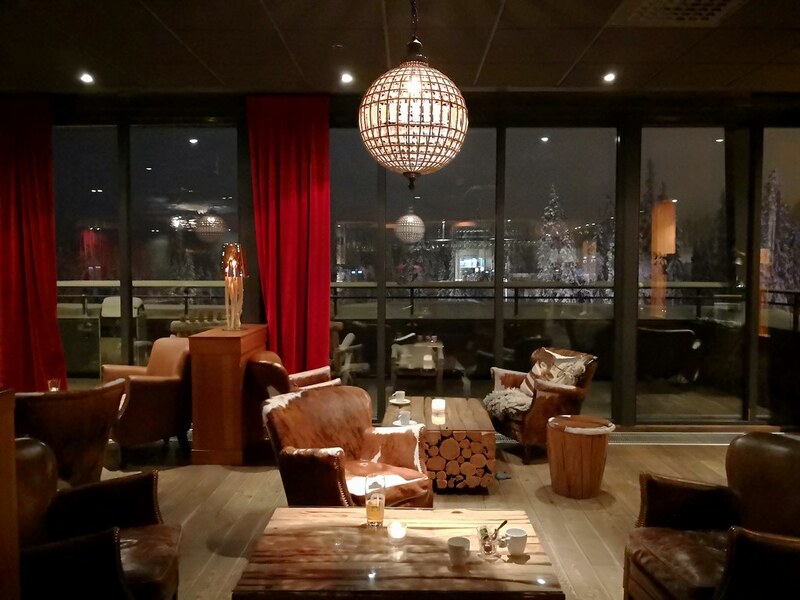 Two floors below the lobby, guests can find a conference and meeting room as this hotel tries to market itself as an event space for the low seasons in summer. This space was empty when I visited though it seems like a nice space to host any meeting and convention. 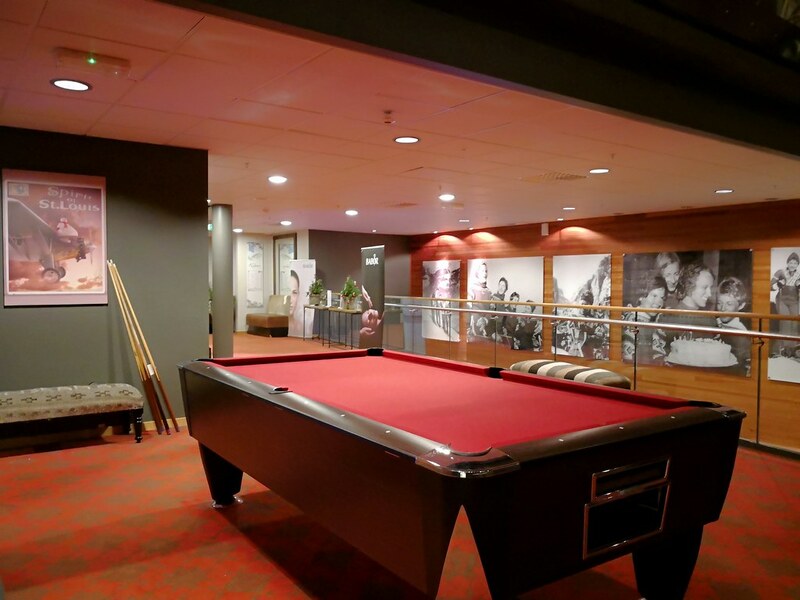 Located on the same floor as the spa, there is a games and activity zone with a pool table occupying the foyer in this level. The pool table requires tokens to work though where the balls would then be dispensed. Tokens can be purchased in the arcade room found beside the pool table. 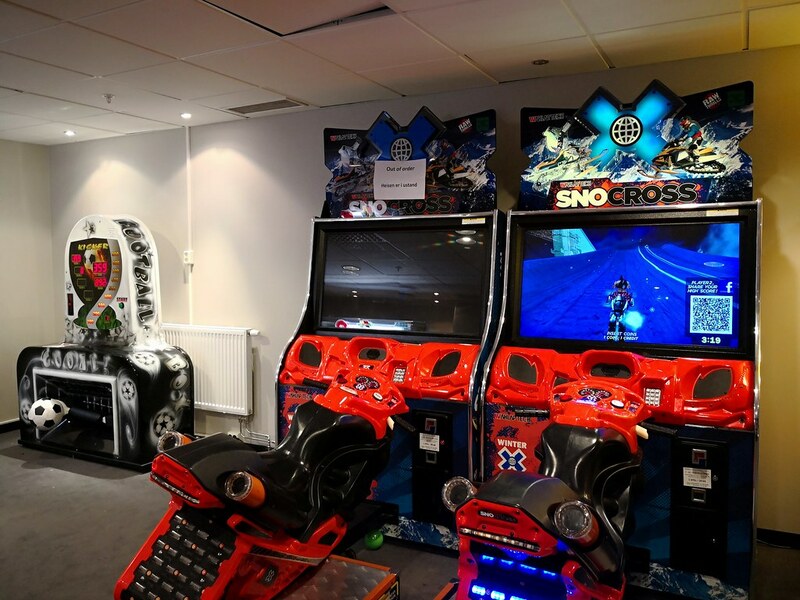 The arcade room has several game machines that caters to kids and shows the resort’s push to market to families. 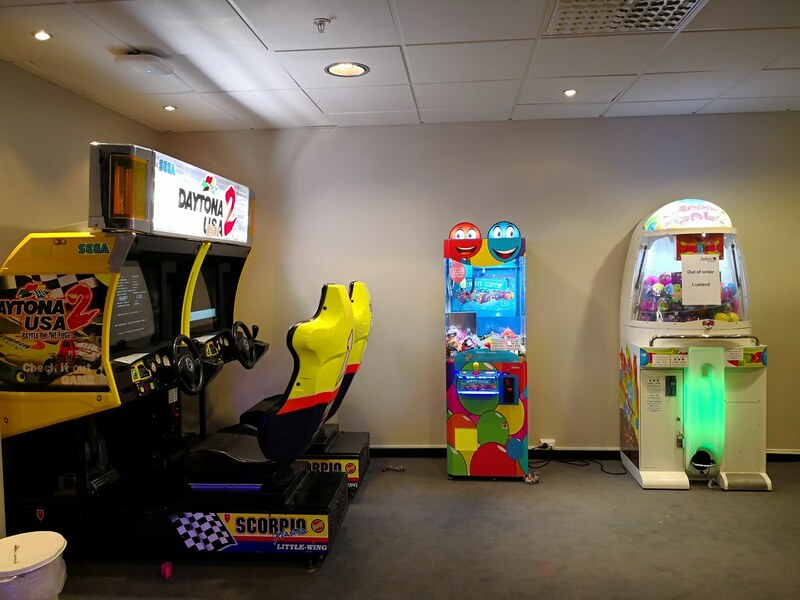 In terms of game variety they were alright and seems more like what one could find in a cruise ship. Next to the arcade room was a room that children could do their colouring with a foosball table. I wonder if this becomes a daycare centre of sorts in the morning but in the evening it was empty. During my stay, I was assigned a ski locker but for some reason, the same ski locker was assigned to another person which meant on the second day when I returned to place my skis, I could not access it. Upon asking the reception to grant me access to those same lockers, I found someone else’s skis in the locker. 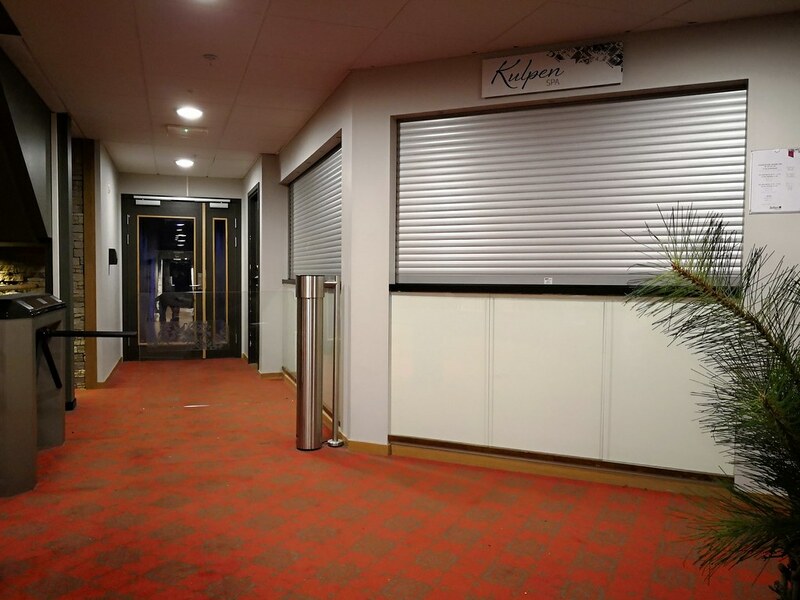 I found it terrible service and management since there was no check by the staff on the status of those ski lockers. 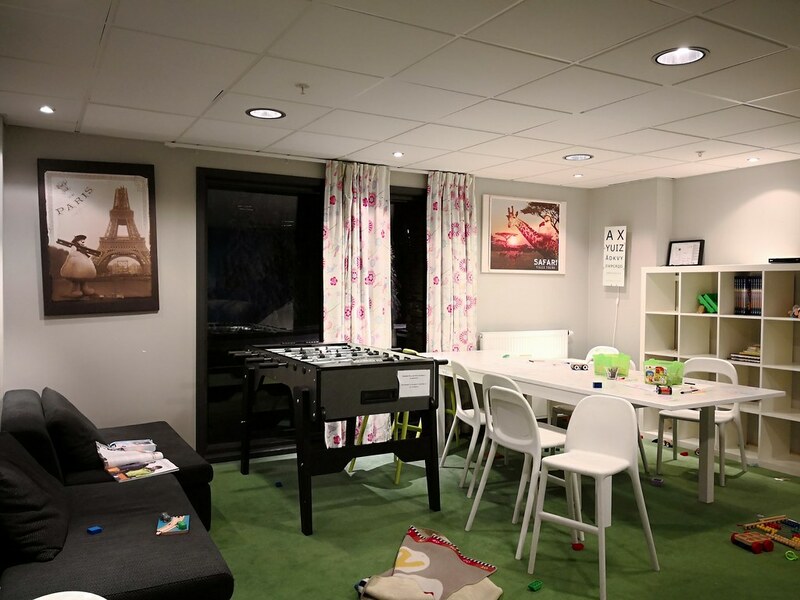 At an average cost per night of around NOK1,600 (~$205) which was not cheap at all considering the small rooms, I think there should be certain level of service. While the rate includes breakfast, the rate did not include access to the spa, again something I would have thought to be included at this rate. 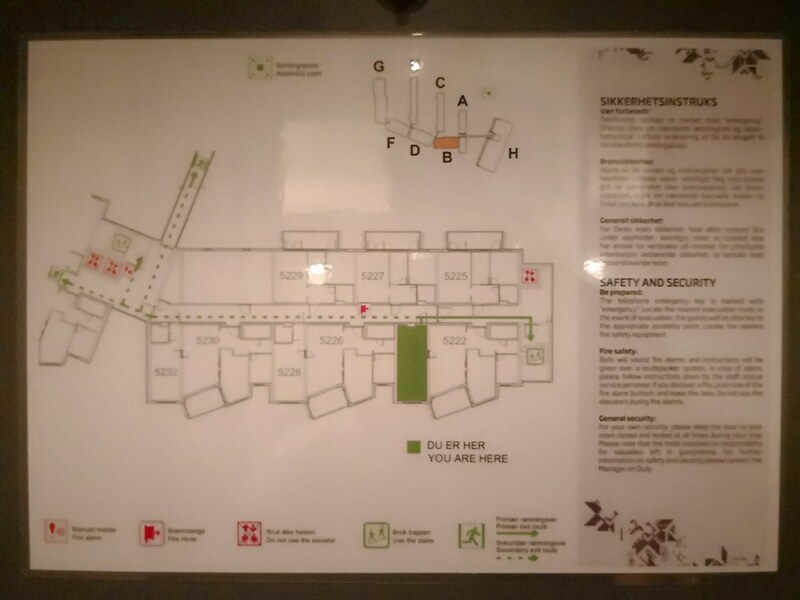 Considering all these factors, I do not recommend staying in this hotel at all, and skiers are probably better off staying in the other Radisson Blu or finding a B&B in the area.